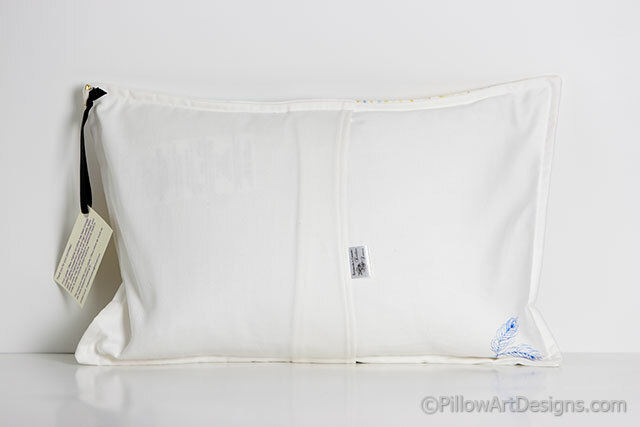 Our mother and daughter sentiment pillow depicts warm and loving moments between a mother and daughter. 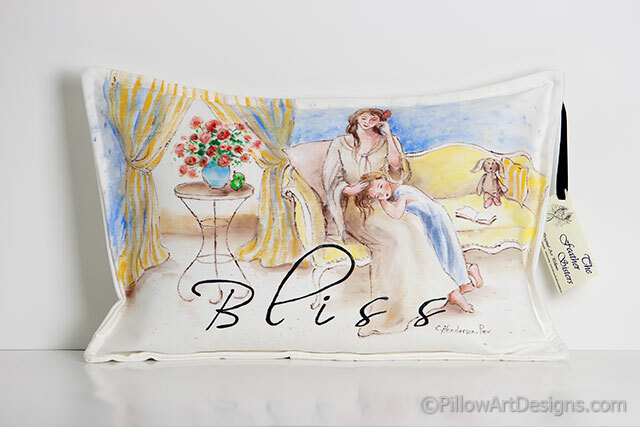 It is our illustration of 'Bliss'. Perhaps the mother has just finished reading to her daughter, the book still open beside them on the cornflower yellow settee. The room has a french provincial look, delicate blues and yellows punctuated with a splash of deep red brought forth by the large vase of flowers on the small round table next to them. The curtains on the window and pillow beside them bring an extra sense of interest to the scene. 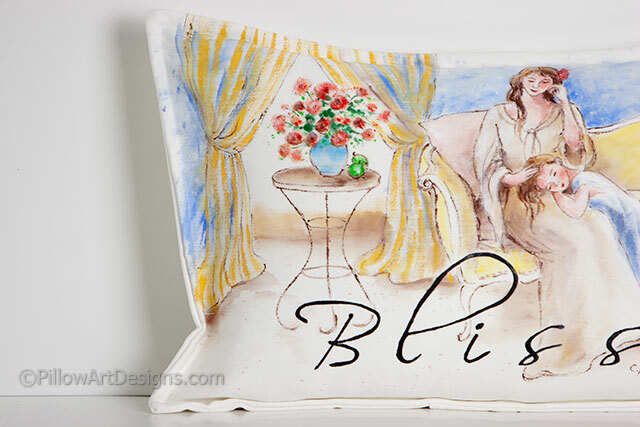 The word 'Bliss' is hand painted across the bottom of the pillow. Truly a wonderful and unique piece of art to uplift your room's decor. All Feather Sisters artwork is by Canadian artist Carol Henderson-Pew. Carol hand paints our Feather Sisters logo on each pillow in the bottom back corner.